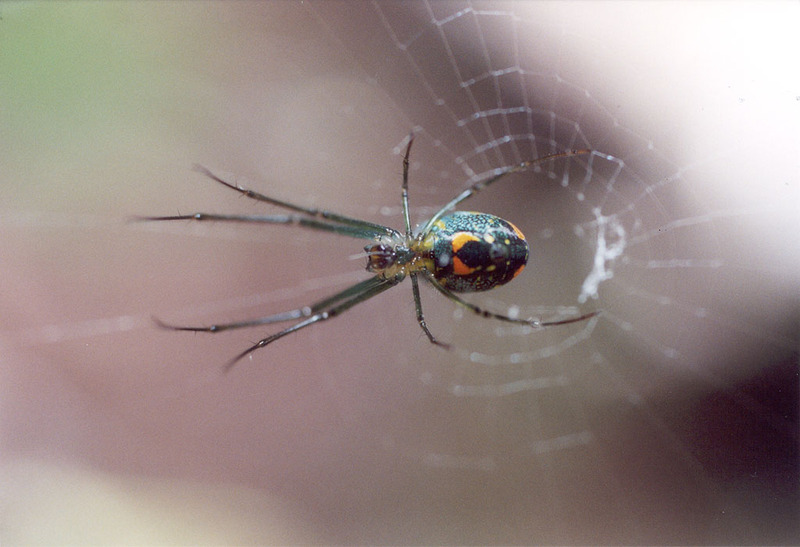 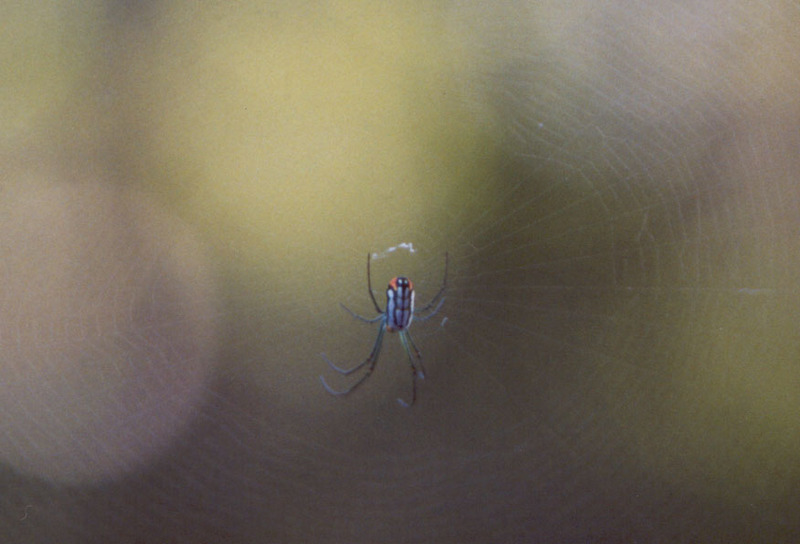 Leucauge venusta - This close-up ventral view of the spider displays the brigh orange markings on its abdomen. 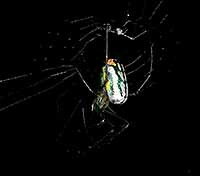 Leucauge venusta - In this side-view of the same spider as in the above photo, you can see the silver markings on its abdomen. 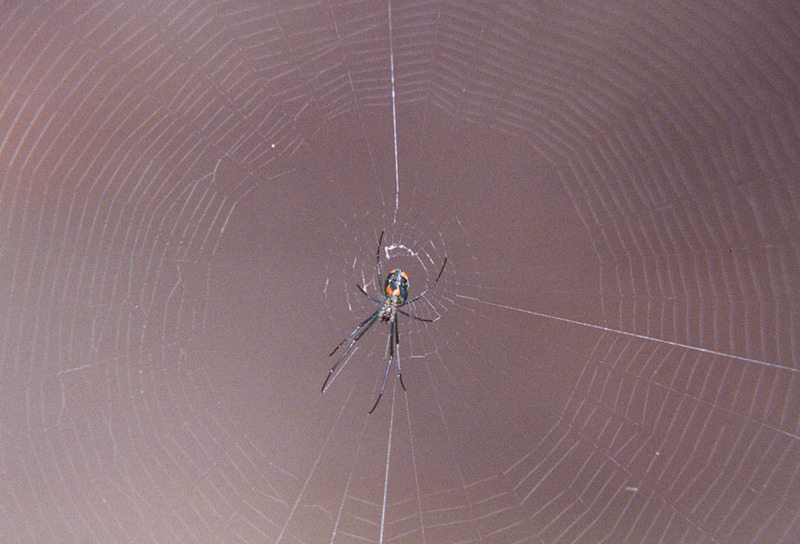 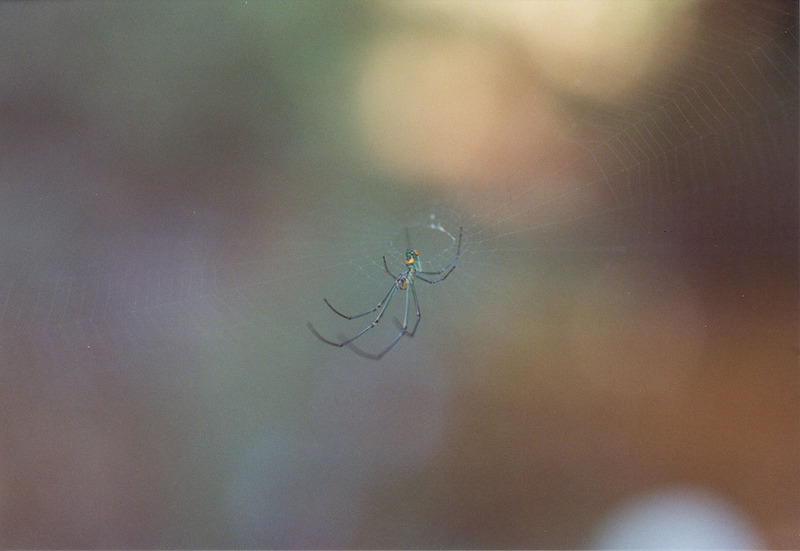 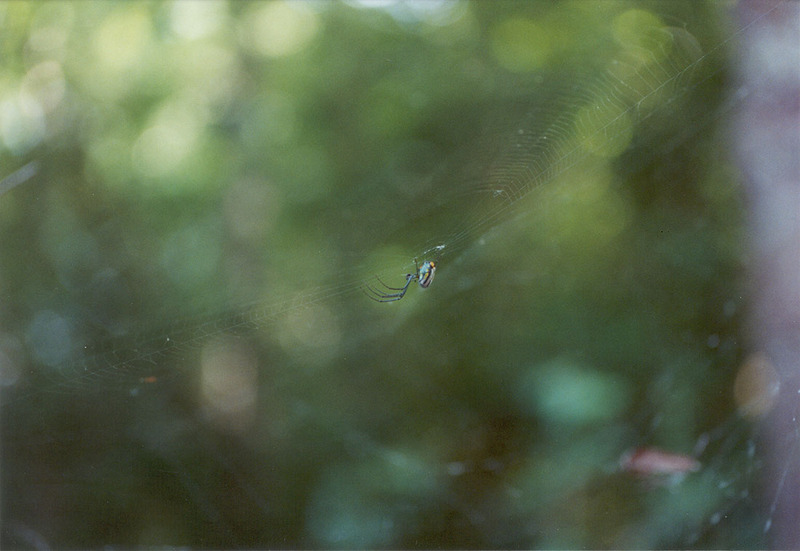 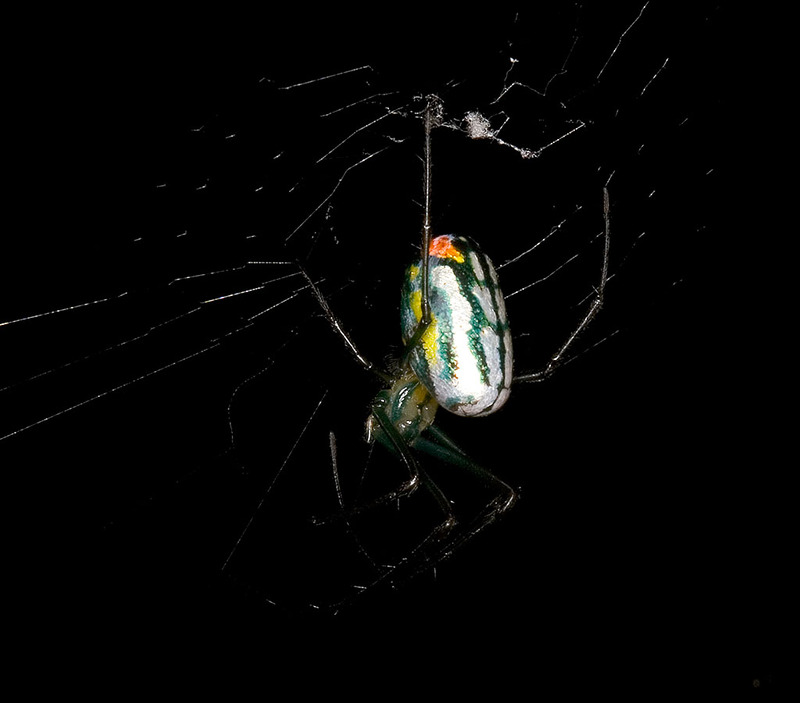 Leucauge venusta - Here's another view of the same spider as in the above photo.